titianknitter | The knitter rides her bike. The knitter rides her bike. I just don’t have the time to take all of the careful photographs and fuss around with the blog post editor these days, which is why I’ve all but stopped posting to this blog. However, I had a request to put up some photos of a recent project, so here we are. 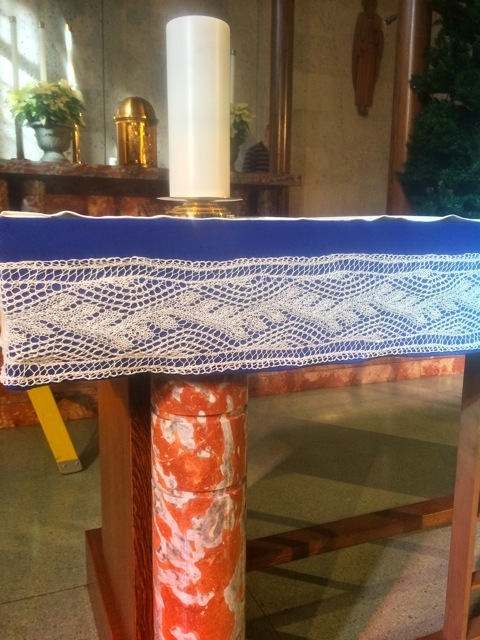 I was honored by a request to make a piece of lace for my church’s main altar this summer. The piece was designed collaboratively with our music director, who also heads up the art and environment department (along with coordinating all of the lay ministers, publishing the worship aids, herding the choir, playing the organ, and who knows what else… he’s simply amazing and we absolutely do not pay him enough). Here are the swatches that made it far enough to deserve consideration. Although we ended up choosing a commercial linen yarn, I also experimented with some Habu stainless steel double-stranded with handspun gossamer weight silk. I just loved the steel/silk and be using that combo for a project down the road. 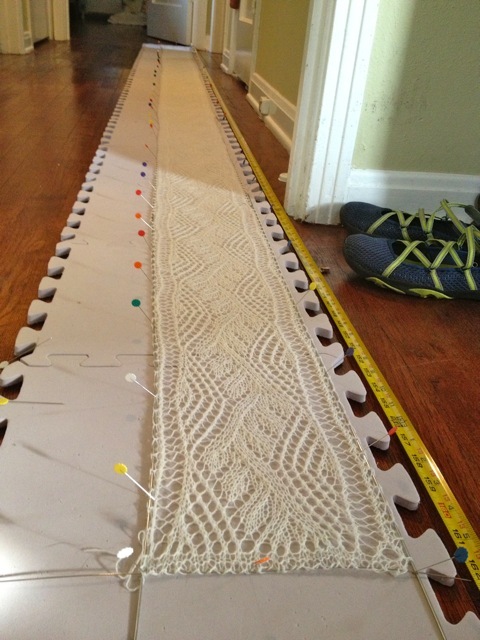 The piece is 13 feet long, Blocking the lace was a bit of a logistical challenge in my tiny house. I lined up my blocking mats in the hallway and we flipped the whole thing up on its side overnight so the cat wouldn’t destroy it. Blocking the lace in my hallway. It was 13′ long by 6.5″ wide. One of the ladies from the choir sewed the lace to the backing. She did a great job! 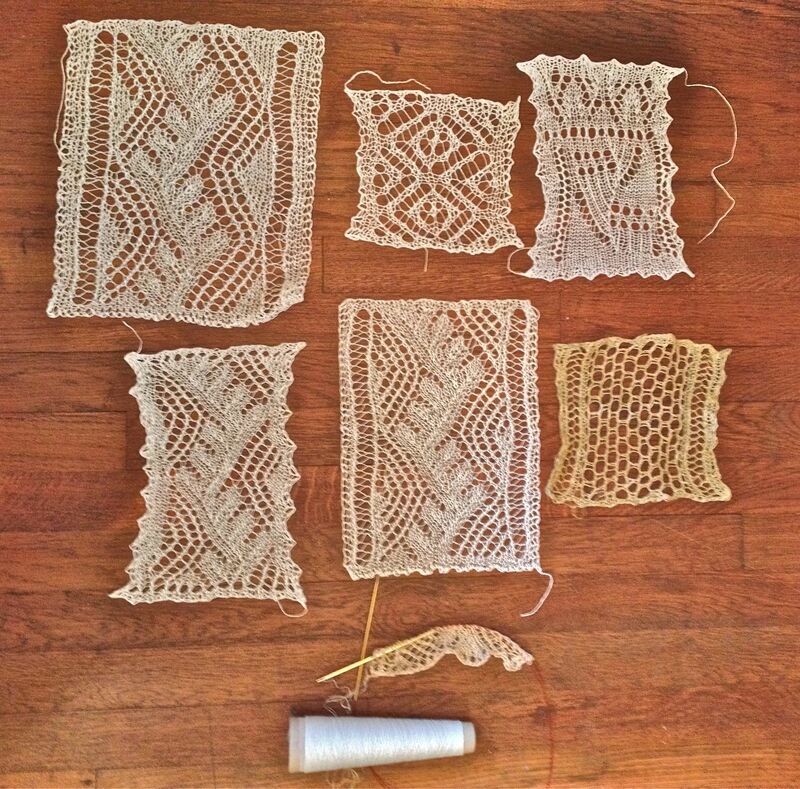 The blocked lace, not yet sewn to its backing. It was such an honor to do this project. 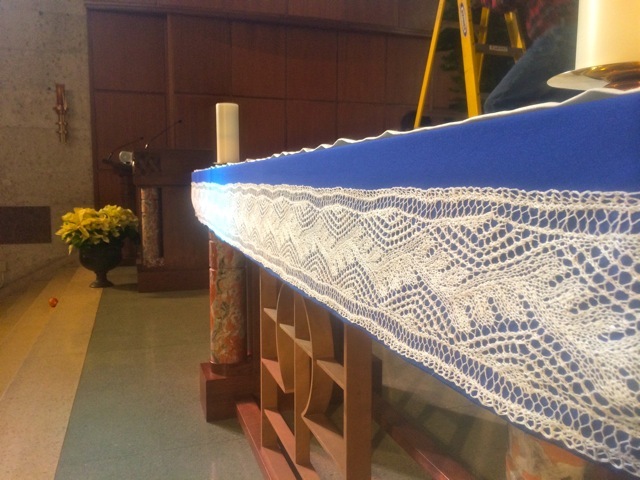 After all of the trouble with my vision over the past 18 months, being asked to make a piece of lace for the church felt like a sign from Heaven. God has blessed me beyond anything I asked for. This shawl was knit from the pattern “Let It Snow” by Po Lena. 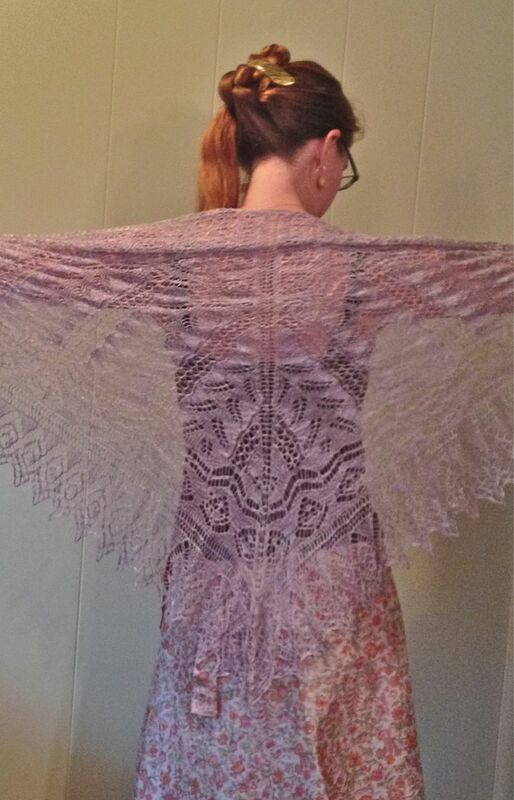 I knit it using The Gossamer Web’s Sheherazade, in the color “wisteria.” The finished piece is light and airy and has a nice halo. The yarn was OK to work with; the finished product is lovely, but I don’t know that I’ll buy the yarn again. 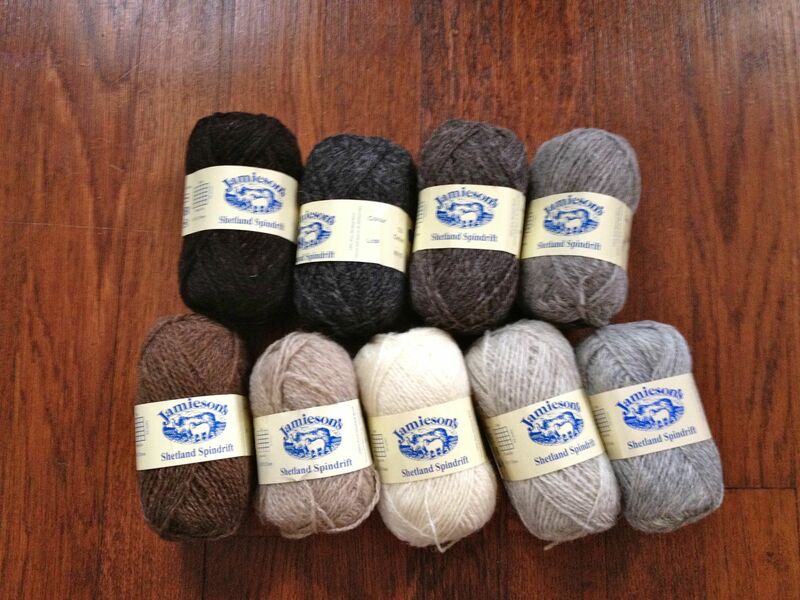 At that price point I really should be much more in love with the yarn. I made a few modifications to the pattern, which came with only scanty instructions. The pattern charts were good, but the instructions were incomplete and didn’t seem to go with the charts. For example, the instructions stated that the charts only showed the odd-numbered knit rows, but the charts themselves showed every row. The edging was also missing instructions on rounding the bottom tip and had a misprint, in the form of a decrease that needed to be added to the first row. I liked the project and found it to be a relaxing knit, but a beginner who needs every step spelled out should find another pattern. 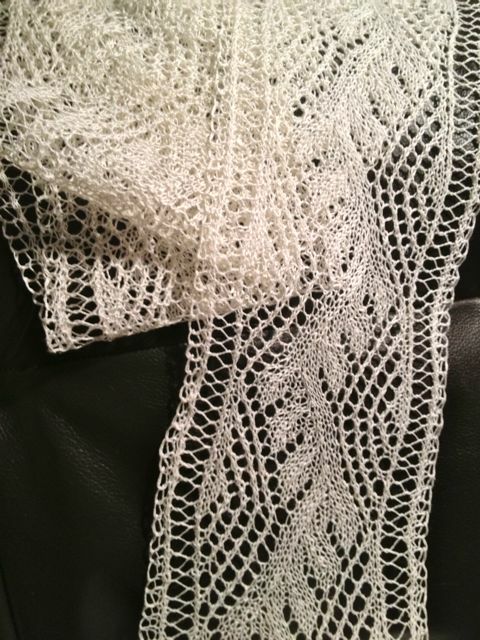 This was my 37th lace piece. 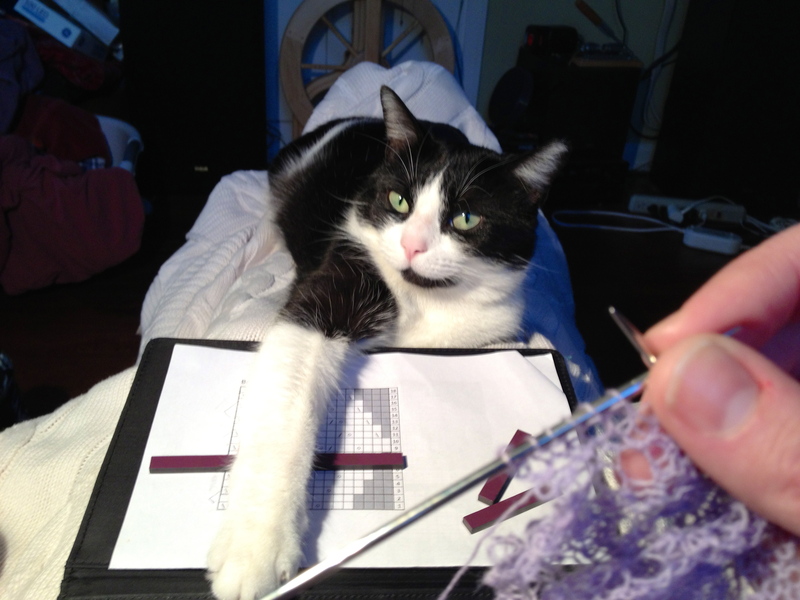 Matilda decided that it was time to stop knitting and pet her. 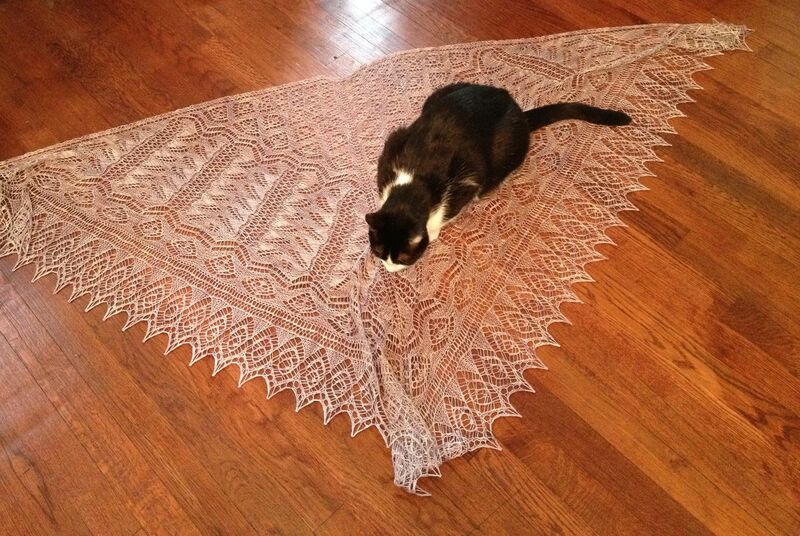 This is the Peacock Tail and Leaf pattern, from Nancy Bush’s Knitted Lace of Estonia. I strongly suspect that at some point I will knit every shawl in that book because I keep coming back to it. Such a nice collection of patterns. I’m very pleased to say that I spun this yarn from some tussah silk roving that I picked up while on the Hill Country Yarn Crawl this year. I got about 500 yards of finished 2-ply yarn from 1 oz of fiber. Not bad! 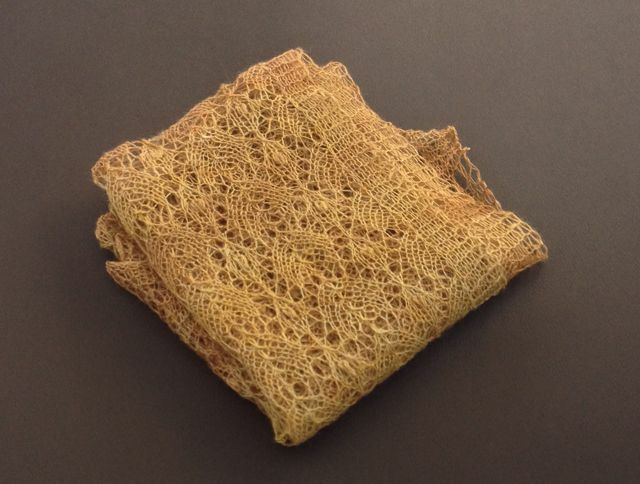 The fiber was produced by the folks at Sweet Georgia Yarns, in the colorway “creme brulee.” The color is just lovely. Oh so pretty in white. Just as lovely in red, and more wearable. I’ve knit Lightweight Mountain Peaks before, way back in 2007. It came out huge then, too. 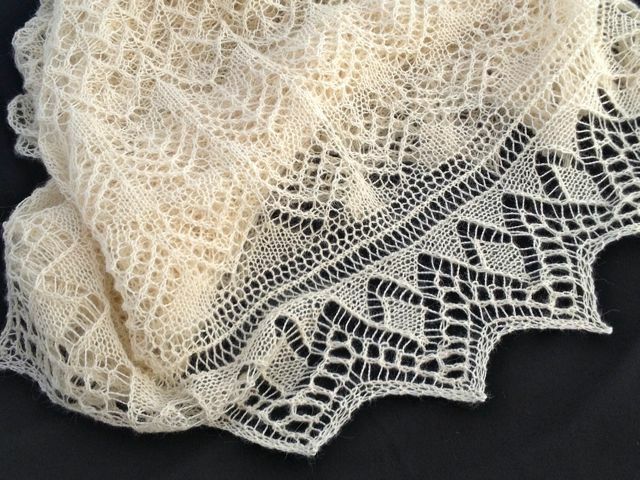 This time I knit it in undyed (read: cheaper) Plymouth Baby Alpaca Lace yarn. I just loved working with the yarn. It has all of the characteristics I look for in a lace yarn: good stitch definition, springiness to make my hands happy, and just a bit of fuzz after washing. 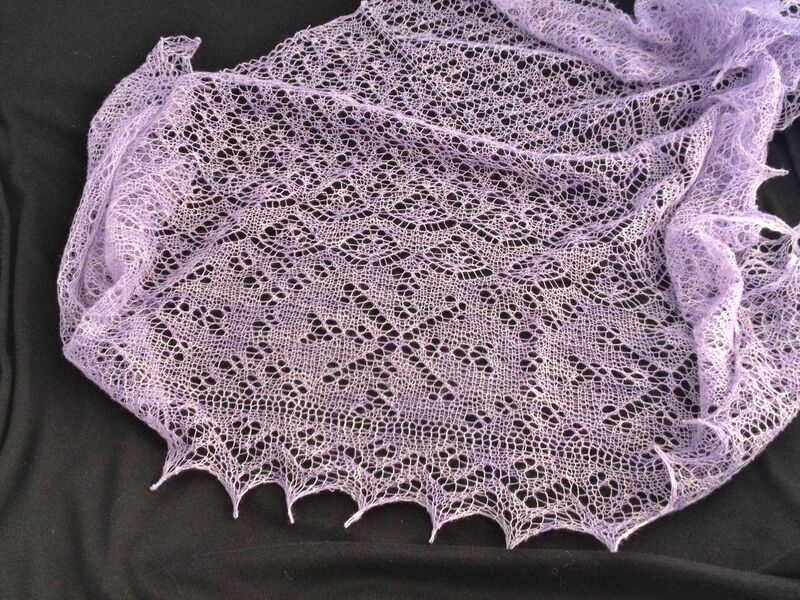 The finished shawl is soft and cuddly and makes you want to put it on and curl up with a good book by the fire. The undyed yarn was a lovely creamy white. 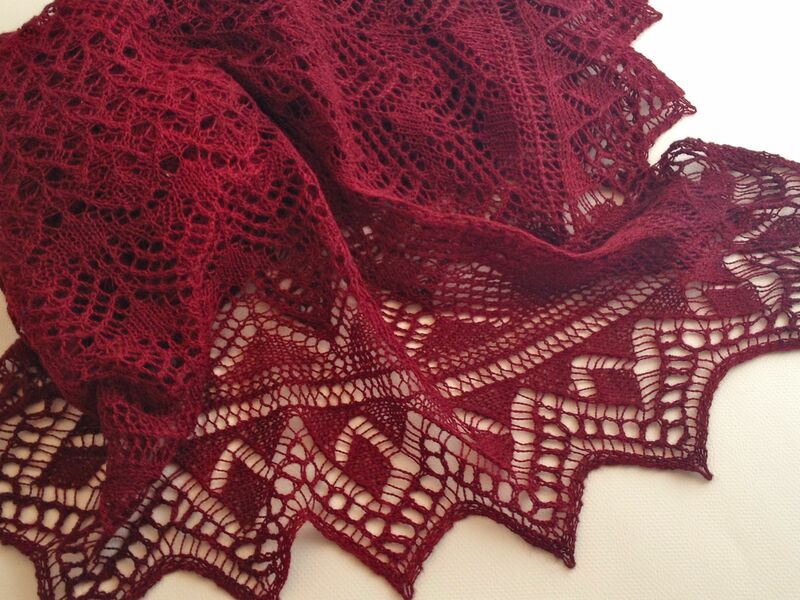 The finished shawl was beautiful… and looked like something one might wear to a Civil War re-enactment. 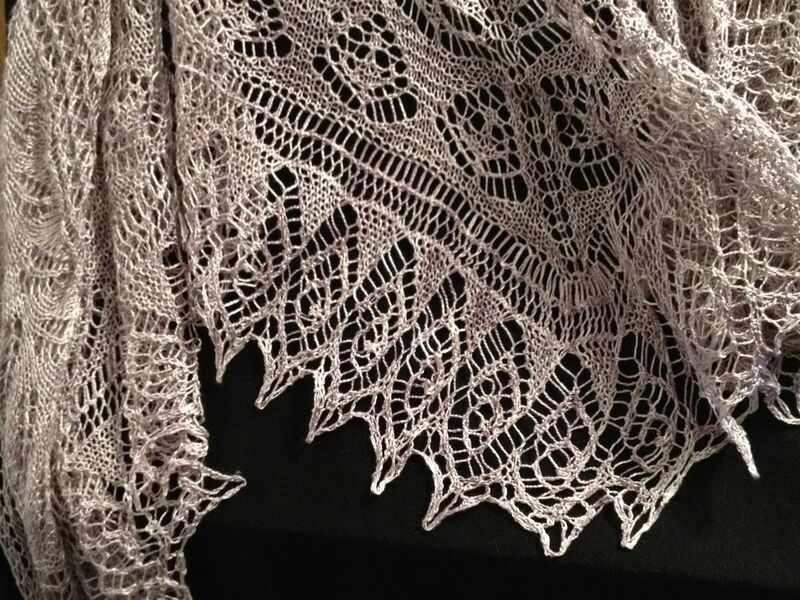 Although I do own and know how to use a spinning wheel, I’m not otherwise into bringing history to life, so I sent the shawl across town to Andrea at Natural Obsessions for a color change. I’m extremely pleased with the outcome. The color has some gentle gradation, just enough to keep the eye moving, and looks amazing with a little black dress. It’s beautiful… and looks like a museum piece. 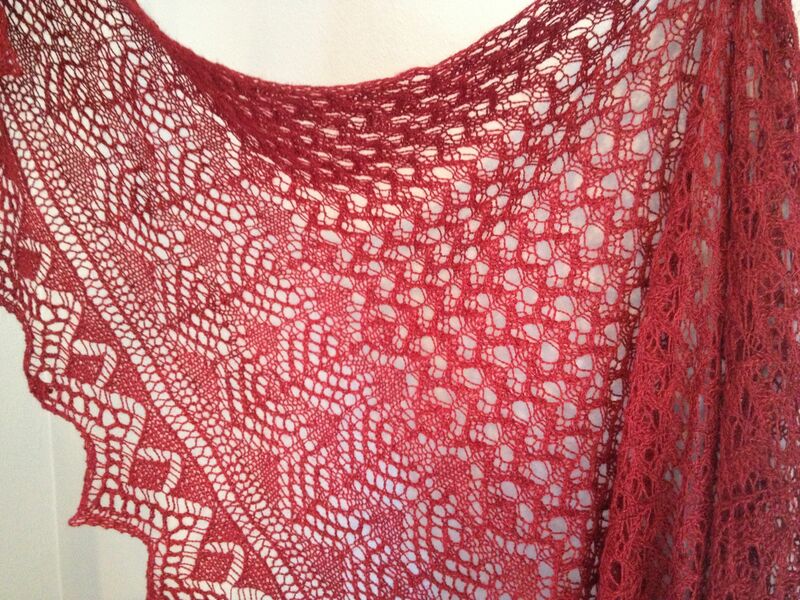 I’m much happier with the shawl in red. 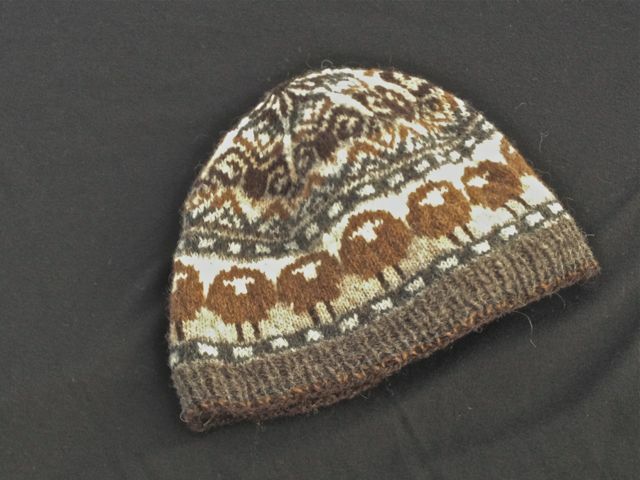 This is the Sheep Heid pattern, from Kate Davies Designs. I made two hats, and there is a photo of the two of us wearing our hats together, but the person who took the photo has neglected to send me the file, so you’ll just have to imagine how cute they are together. Or, maybe she’ll email me with the file (hint, hint). 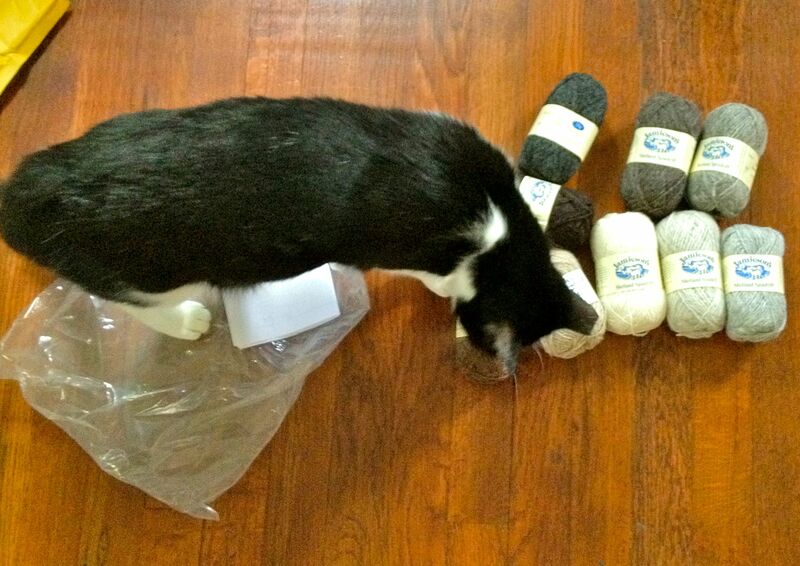 Matilda LOVED the yarn and tried to eat it every time I left the project out. The lace motifs are all meant to represent ferns, except for the edging, which is called “snail shells.” Can you see the little helix snails? 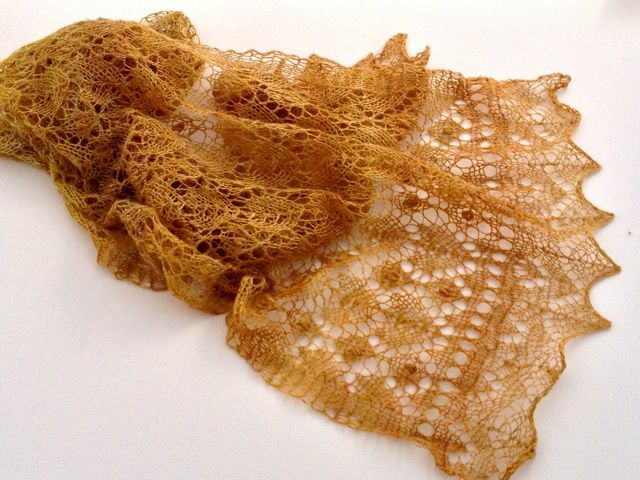 This is the Fern Glade shawl. The pattern is from Fiddlesticks Knitting. I’ve knit one of Ms. Siemen’s patterns before, Peacock Feathers, and recalled having mixed feelings about how the pattern charts were presented. The pattern instructions are clear and I found no errors anywhere. However, the charts are all large print, so large that the left half of each chart is not represented and the knitter is required to flip the symbols around in her or his head for the left half of each row. Even then, some of the charts are broken up because they won’t fit across a single page. It’s nice that the charts don’t require magnification or enlargement (unlike, for example, the charts in Victorian Lace Today) but these charts commit the opposite sin by being too large. I can’t visually group symbols together as I would normally do because they are so spread out. What bugs me is that I can’t figure out why the charts are so large. 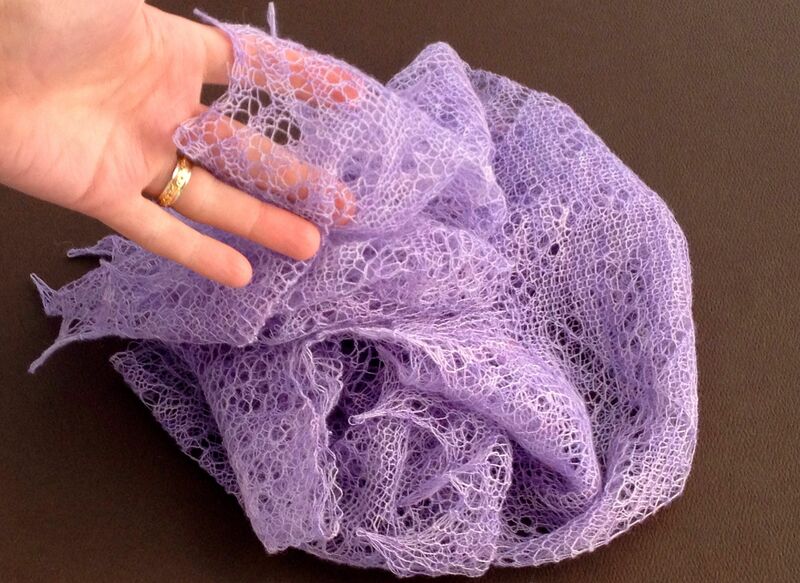 If you can’t see (or use aids such as magnifiers) well enough to read a standard chart, how the heck are you going to see well enough to knit the lace? 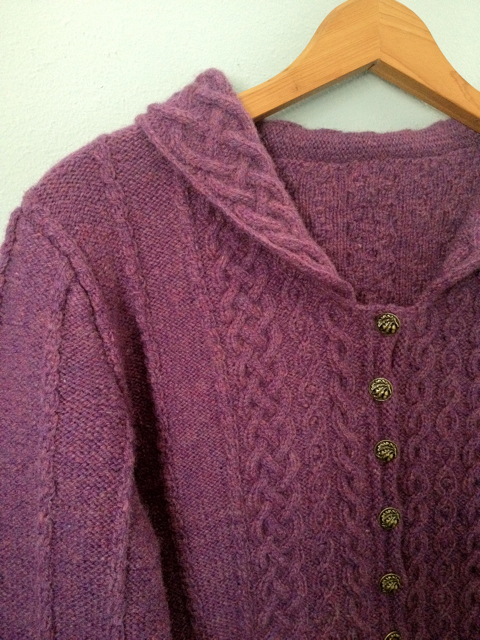 The pattern is, however, lovely and well-written, and I will be knitting it again. The topic of seeing well enough to knit brings me to some personal news. In early August I had surgery to repair a detached retina. Eye surgery is nothing if not nerve-wracking, and the recovery hasn’t been much fun, either. My vision in that eye is still pretty messed up and will be for some time… although, if the vision is screwy, it’s because I still have vision on that side, so I suppose I should be thankful. I got back to knitting a few days after surgery, and knitting lace after about two weeks. I was allowed to go running at 3 weeks post-op (!) along with riding my bike, although it was a few weeks more before I felt comfortable with my regular bike commute. As of this writing I’m back to doing everything except for driving and excessive amounts of reading (I’m subscribed at audible.com instead, now I can read and knit at the same time!) and I’m counting the days until I can go and get new glasses to catch up with my new vision. 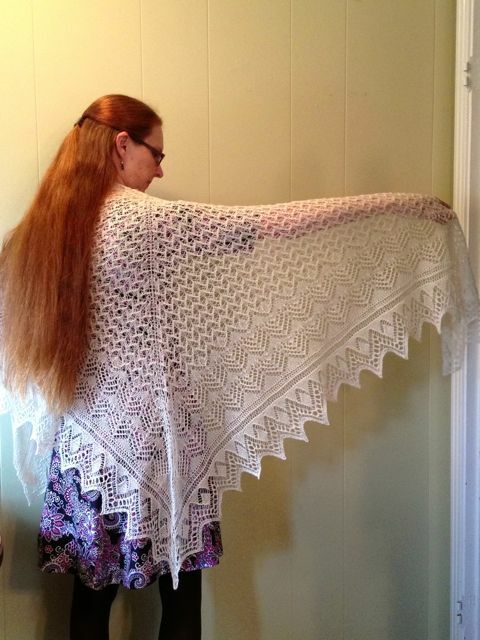 This is one of the larger shawls I’ve knit, at 36″ deep by 72″ wide. Cat included for scale. Would the light be better outside? Or course. But it’s too @##$%! 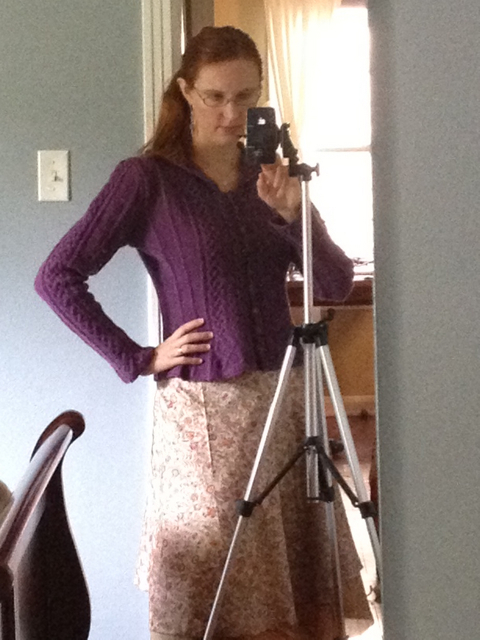 hot outside to model Shetland wool. I spent 18 months working on this sweater, and you would know, I finished it right as we hit our usual +100 summer weather. Oh well. December will get here eventually. In the meantime, enjoy some indoor photographs. 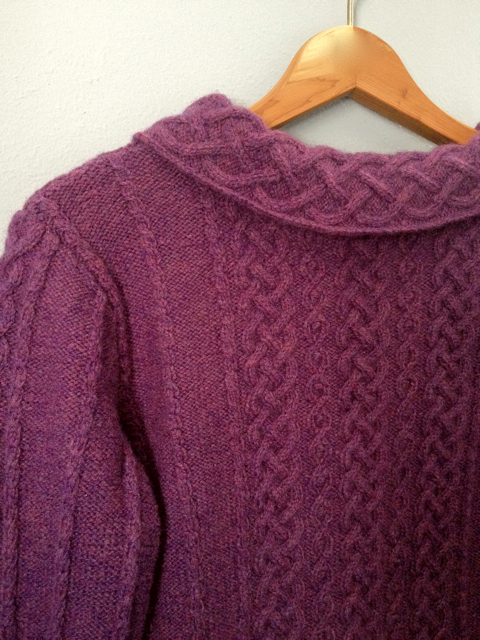 This pattern is called “Eala Bhan” and was published in the reprint of Alice Starmore’s Aran Knitting. I used the suggested yarn, Hebridean 2 Ply, which is sold by Ms. Starmore’s yarn company, Virtual Yarns. Check it out! The sleeves are long enough! 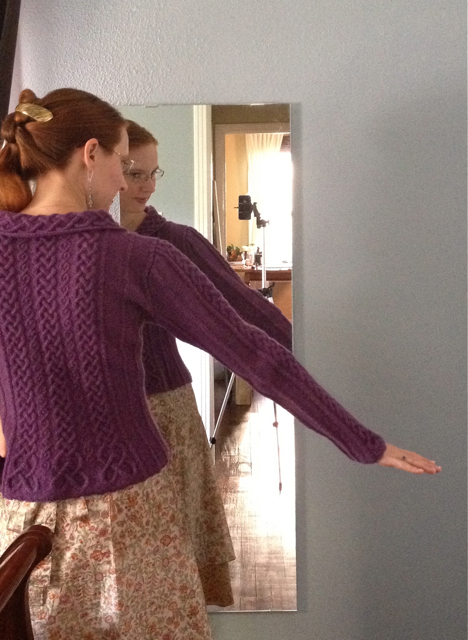 One criticism I’ve heard from other knitters about this pattern is that the sleeves are very long. Now, I have long arms; I am 5’7″ tall, but my “wingspan” is 6’1″ so I tend to have trouble finding clothing with sleeves that are long enough. I was very happy to not have to adjust the pattern and have the sleeves come out right at my wrists. In other news, we have a new addition to our household! 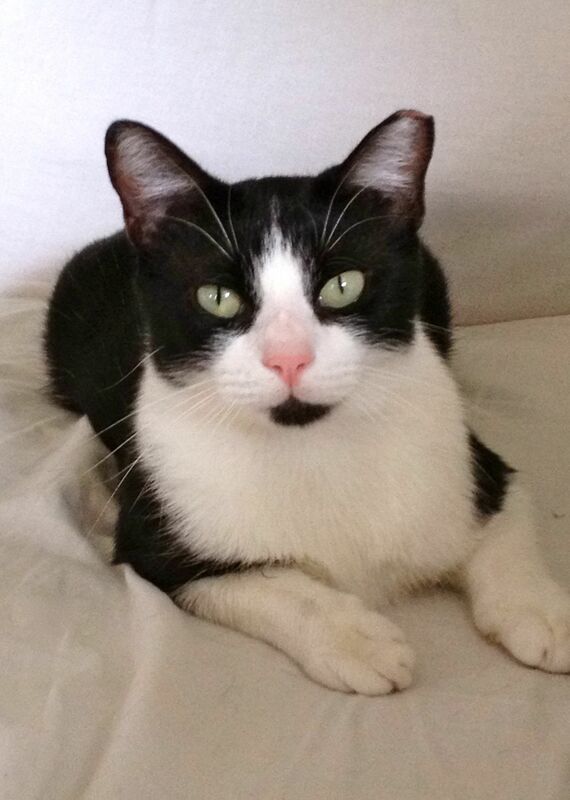 Earlier this month, I took our two backyard cats in to the Austin Humane Society be spayed. Now, AHS does a trap-neuter-release program for outdoor/feral/stray cats, and afterwards the cat needs to stay inside for 24 hours while the anesthesia wears off. Everybody who knows me well knows that I am horribly allergic to cats. When we took in our first cat, Sweetie, I doped up on allergy meds prior to trapping her. From inside the covered trap the night before her spay, she set off my allergies within an hour. The day after her spay was a long one for both of us. She was wild to get back outside and I was sick and miserable, so we were both glad to see her return to the great outdoors. I took the second cat, Matilda, in for her spay a week later. Matilda has always been very social and tame, so instead of trapping her the night before, I picked her up and carried her into the house. (Watching Sweetie scratch her face up trying to escape her trap was traumatic for everyone.) Surprisingly, my allergies didn’t bother me at all. I had the same non-reaction when we brought her back from AHS the next day. Matilda seemed happy to be inside. She curled up on the couch next to me and purred all day while I knit. So it was decided that we would see how my allergies did if she stayed inside over the weekend. That turned into a week. Now it’s been 3 weeks and we’re both doing fine. Did you know that hedgehogs get carsick?